Religion • Black LDS praise the move; historian calls it another step in the "maturation" of the Utah-based faith. Catherine M. Stokes of Salt Lake City talks about the 1978 revelation at Temple Square to commemorate the 30th anniversary of the Steve Griffin | The Salt Lake Tribune Richard Bushman, a pre-eminent Mormon historian. 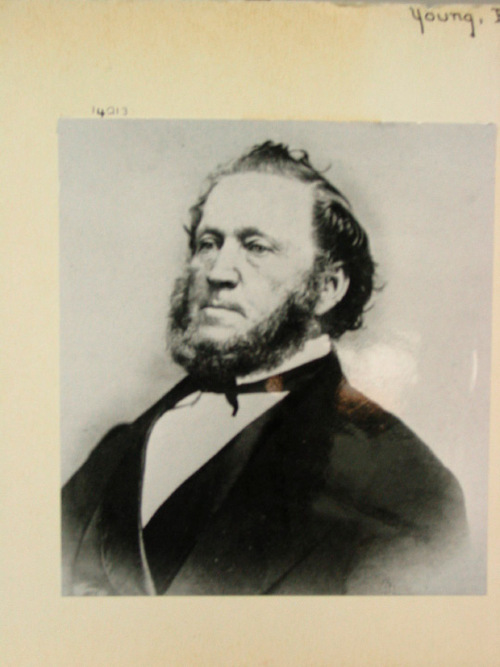 Brigham Young Brigham Young in the 1870s. Courtesy LDS Church Historical Department. Mormon founder Joseph Smith. 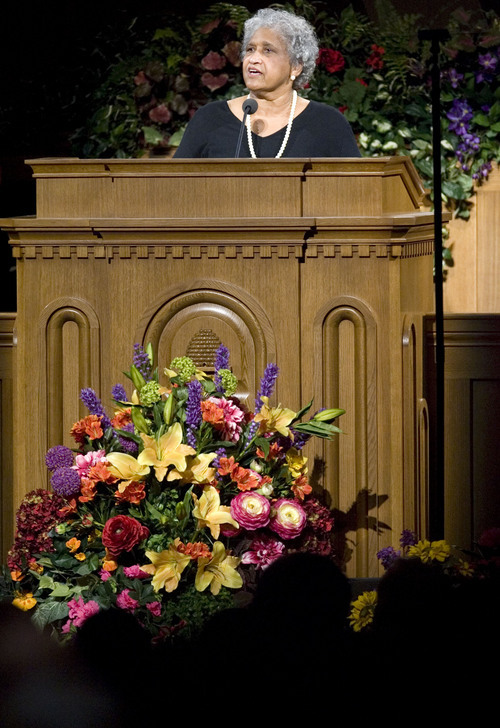 Catherine M. Stokes of Salt Lake City talks about the 1978 revelation at Temple Square to commemorate the 30th anniversary of the revelation ending the ban on blacks in the LDS priesthood, Sunday June 8, 2008. The Tabernacle on Temple Square in Salt Lake City was full with people who turned out for the program and fireside commemorating the 1978 revelation. 06/08/2008 Jim Urquhart/The Salt Lake Tribune Steve Griffin | The Salt Lake Tribune Richard Bushman, a pre-eminent Mormon historian. Brigham Young Brigham Young in the 1870s. Courtesy LDS Church Historical Department. Mormon founder Joseph Smith. In the past, the LDS Church has said history isn&apos;t clear on why blacks were banned from its all-male priesthood for more than a century. The reason, according to a newly released explanation from the Utah-based Church of Jesus Christ of Latter-day Saints, is rooted more in racism than revelation. "Race and the Priesthood," posted Friday on the church&apos;s website, lds.org, also jettisons any beliefs developed through the years to defend the prohibition. And those findings are drawing praise from black Mormons and historians. "Hallelujah," says Catherine Stokes, a black Mormon who joined the LDS Church in Chicago and now lives in Utah. "I view this as a Christmas gift to each and every member of the church  black, white or whatever ethnicity." 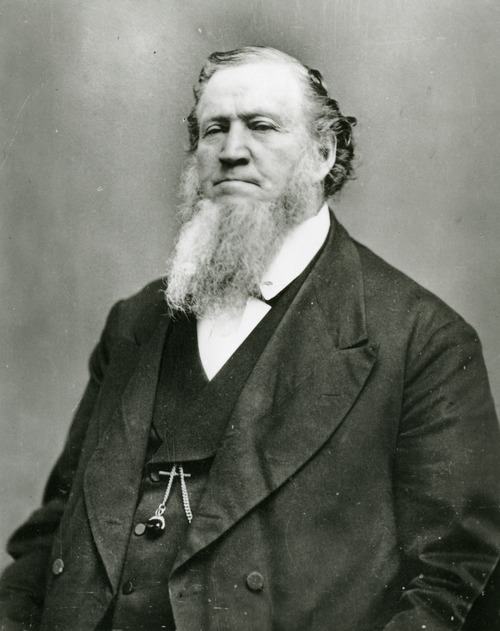 The ban began under Brigham Young, second LDS president, who was influenced by common beliefs of the time, reports the article. It did not exist during the tenure of Mormon founder Joseph Smith, who opposed slavery and personally ordained several African-Americans. The essay is part of an ongoing series of "gospel topics pages" published by the LDS Church to give Mormons resources for understanding complex issues such as whether Mormons are Christians and differing, sometimes-contradictory accounts of Smith&apos;s early visionary experiences. The church-produced article on race argues that "there is no evidence that any black men were denied the priesthood during Joseph Smith&apos;s lifetime." But the record clearly shows that, in 1852, Young  Smith&apos;s immediate successor  "publicly announced that men of black African descent could no longer be ordained to the priesthood, though thereafter blacks continued to join the church." More than 125 years later, in 1978, the LDS Church, under then-President Spencer W. Kimball, lifted the ban, but some Mormons have continued to promote theories used to defend the former exclusion  "that black skin is a sign of divine disfavor or curse, or that it reflects actions in a premortal life; that mixed-race marriages are a sin; or that blacks or people of any other race or ethnicity are inferior in any way to anyone else." The new statement says the LDS Church "disavows the theories advanced in the past ... [and that ] church leaders today unequivocally condemn all racism, past and present, in any form." Margaret Young, who teaches English at LDS Church-owned Brigham Young University, believes all Mormons should carry a copy of the statement with them. "Make three-by-five cards of Friday&apos;s church statement on race. Edit carefully if you need to. Laminate it, and keep it handy in a purse or wallet," Young, who co-produced a documentary on blacks in the church, wrote to her Facebook friends. "We are now empowered to answer folks who perpetuate old justifications for the priesthood restriction in ways they won&apos;t argue with. We are the messengers to give wings to the statement." What is most important about the statement on race to Mormon historian Richard Bushman is its perspective. "It is written as a historian might tell the story," Bushman says from his home in New York, "not as a theological piece, trying to justify the practice." By depicting the exclusion as fitting with the common practices of the day, says Bushman, who wrote "Rough Stone Rolling," a critically acclaimed biography of Smith, "it drains the ban of revelatory significance, makes it something that just grew up and, in time, had to be eliminated." 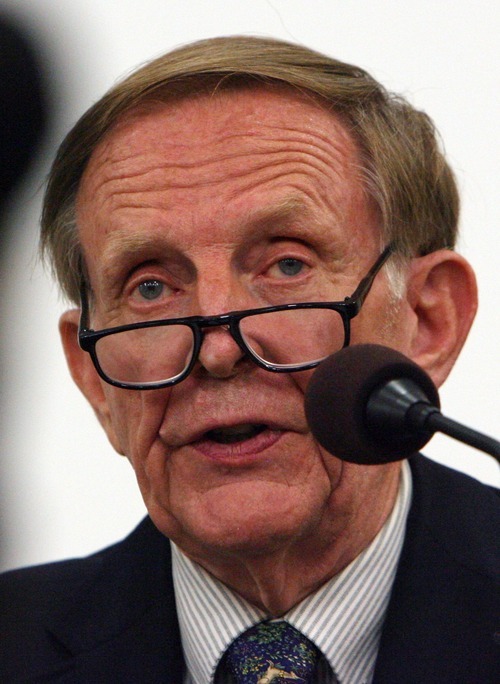 But accepting that, Bushman says, "requires a deep reorientation of Mormon thinking." Mormons believe that their leaders are in regular communication with God, so if you say Young could make a serious error, he says, "it brings into question all of the prophet&apos;s inspiration." Members need to recognize that God can "work through imperfect instruments," Bushman says. "For many Latter-day Saints, that is going to be a difficult transition. But it is part of our maturation as a church." Some top Mormon leaders are already pushing in that direction. "And, to be perfectly frank, there have been times when members or leaders in the church have simply made mistakes. There may have been things said or done that were not in harmony with our values, principles or doctrine," Dieter F. Uchtdorf, second counselor in the faith&apos;s governing First Presidency, said in October&apos;s LDS General Conference. "I suppose the church would be perfect only if it were run by perfect beings. God is perfect, and his doctrine is pure. But he works through us  his imperfect children  and imperfect people make mistakes." While Mormons applaud the statement on race, some believe the church needs to go much further. Some want an apology; some just want wider awareness. "The disavowal says to the church and to the world, &apos;Everything we taught you justifying the restriction is wrong,&apos; " says Marvin Perkins, a Los Angeles-based Mormon co-author of the DVD series, "Blacks in the Scriptures." 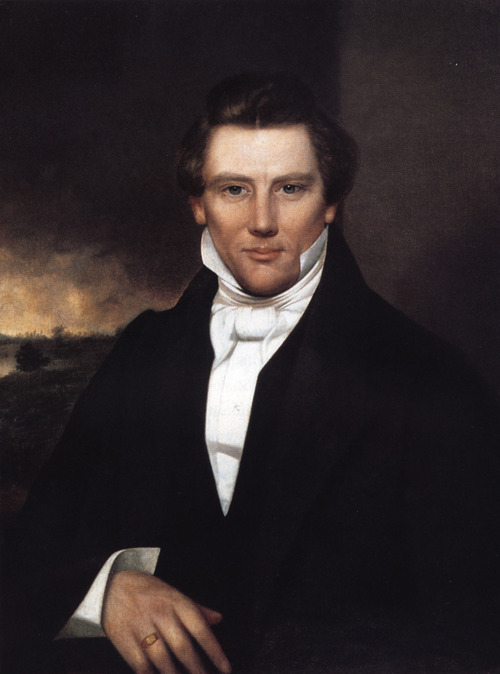 "But what would be ideal would be for every member to be as well-versed regarding the truths of the priesthood ban and scriptural truths regarding skin color and curses as they are with the Joseph Smith story and the First Vision. We need it repeated over and over in church curriculum in manuals and over the pulpit. That&apos;s the way this will be resolved." Stokes, though, believes this latest step is worth celebrating. Indeed, the website states, "in theology and practice, The Church of Jesus Christ of Latter-day Saints embraces the universal human family. Latter-day Saint scripture and teachings affirm that God loves all of his children and makes salvation available to all." This essay, Stokes says, "should enable people to move forward in concert with the second great commandment to "love thy neighbor as thyself." After all, she says, echoing Mormon scripture, "all are alike unto God."